Elevate Your Vacation to 10,152'! All will enjoy this Mountain Retreat with its convenient location for Skiing, Hiking, Mountain Biking, Snowmobiling, and Fishing just minutes away. The Hulse Haus III combines both floors for families and groups of 10+ with quick access to all outdoor activities. 2 minutes to Ski Cooper. "Mother Nature adorns the place. Father Time determines the pace." Cielo Vista Vacation Properties invites you, your friends, and family to enjoy your stay in our vacation rentals. These beautiful Leadville vacation rentals are a popular destination for history buffs, golfers, endurance athletes, skiers, and other outdoor enthusiasts who prefer quiet, hometown, western warmth. Come to our town in the “Heart of the Rockies” and stay in one of our vacation homes. Each have open floor plans, fully equipped kitchens, modern furnishings, sauna, and expansive decks with panoramic views. We look forward to meeting you. Endurance athletes are familiar with Leadville Race Series and endurance events. They come here for the challenging courses and positive benefits from high-altitude training. Cielo Vista Vacation Properties provides comfortable and affordable vacation homes in a convenient location to the event courses. Rent our 3 bedroom homes with fully equipped kitchen, deck with therapeutic sauna, private parking, and a garage for expensive gear storage. Discover how much value our homes offer compared to other lodging options. History buffs enjoy coming to Leadville to experience the authentic western history of a real Gold and Silver mining town. The old-western mining town feel in a modern era has so much to offer vacationers, athletes, outdoor enthusiasts and history buffs. 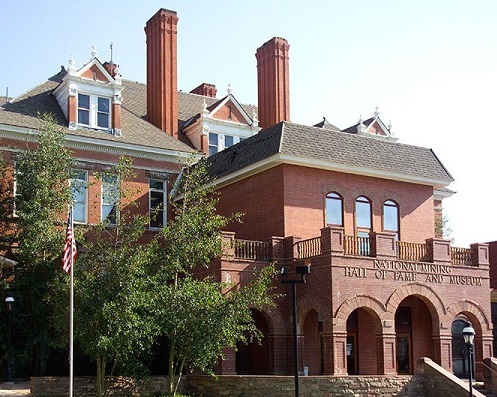 Come to Leadville and enjoy the comforts of staying in our Leadville vacation homes and visit the towns' 5 museums. Learn more about the History of Leadville. Golfers; come enjoy Leadville's beautiful, well maintained 9-hole golf course with a small club house, surrounded by the Rocky Mountains. Our course might not be Augusta or Pebble Beach, but those courses aren’t at the base of 14,429’ Mt. Massive. See elk, bald eagles, large conifers, and other huge mountain peaks while moving to the next hole. 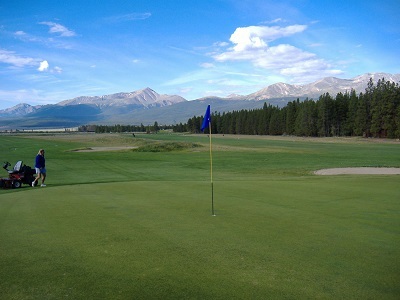 We invite you to enjoy Mt Massive Golf Course as a special golf treat while on vacation in Leadville. To enhance your vacation, stay in one of our affordable 3 bedroom vacation home rentals with an open kitchen, floor plan, spacious deck, steam sauna and stunning Rocky Mountain views. Colorado is world renowned for its ski mountains, big budget vacation resorts, and trendy world cup events. Ski Cooper is a precious gem surrounded by glitter and gold. Experience all natural snow for softer, non-icy conditions and jaw dropping panoramic views of the highest Rocky Mountain peaks. 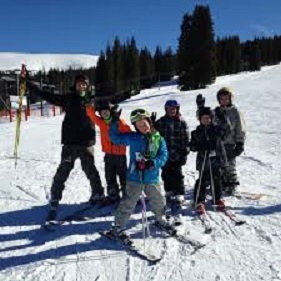 It is family operated with a friendly, local support staff and affordable lift tickets, ski rentals, and lessons. Ski Cooper focuses on skiing, not lodging. Come down and stay in one of our vacation home rentals in Leadville. With short travel distances and rates way below the mega-resorts, you can afford to ski them all. Check out our Winter Brochure for more information about exciting winter fun in the "Heart of the Rockies", Leadville, Colorado. Print as many as you need to share with family, friends, groups, or club members.